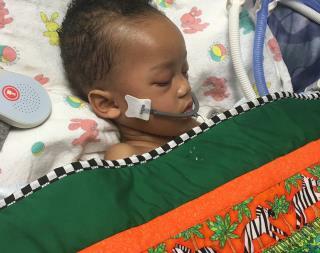 (Newser) – Israel Stinson, 2, had a bad asthma attack on April 1, went into cardiac arrest, and was declared brain-dead at UC Davis Medical Center. Nearly five months of legal battling ensued, as the California toddler's parents—who did not agree with the prognosis—fought to keep him on life support. The fight ended abruptly Thursday, after what the Sacramento Bee calls a "surprise ruling" by a Los Angeles Superior Court judge that the boy be removed from life support. He stopped breathing almost immediately. "He's gone," Israel's mom Jonee Fonseca tells the Bee. At the beginning of the saga, she and Israel's dad, Nate Stinson, initially had Israel transferred from Davis to Kaiser Permanente in Roseville; that hospital also determined he was brain-dead, the Washington Post reports. I hope the parents adopt. There are plenty of little ones in need of strong, loving parents. This is one of those stories to evoke emotions and nothing more. Well done Newser. I feel bad for the parents. I hope they can find the strength to let go of the pain and find peace.